The acute energy problems facing China today are characterized by their own histories and realities. Some have come about because of China's energy endowment and stage of development, while others have been created by a combination of domestic and global factors. Some are the results of an accumulation of longstanding contradictions, while others are new challenges posed by the new order. There are no «miracle cures» to solve these problems instantly. What is needed is a tireless enquiry, with goals, planning and procedures, guided by a clear energy strategy. With China's increasing dependence on foreign energy sources, and the global energy situation and greenhouse gas issue exerting an increasingly prohibiting effect on China's energy development, energy diplomacy has become an important component of Chinese diplomatic affairs. Based on a «broad energy outlook», this book studies and analyzes China's energy issues and energy strategies from the perspective of electric power. Discusses a variety of issues, including energy transportation and allocation, end-user consumption, markets, early warning and emergency, technical innovation As a leading player in the power and energy area, China’s strategies attracts global attention Proposes the innovative idea of «Macro Energy Perspective» As a key player in China's energy industrial circle, the author's perspective can help global audiences to understand China's energy strategies better Electric Power and Energy in China is ideal for government energy policy makers, engineers, scientists and enterprise managers to understand China’s strategy in electric power and energy. 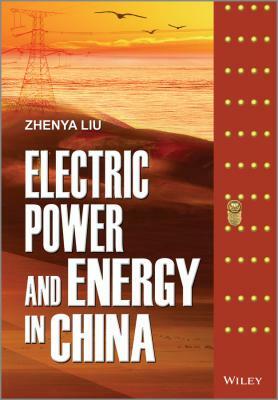 It is also a good reference for energy economics researchers, consultants and university students.